Accessorize your party or event with Glow in the Dark Party Spray and come night time your party will illuminate different shapes, patterns,clothing and objects that you have used it on. 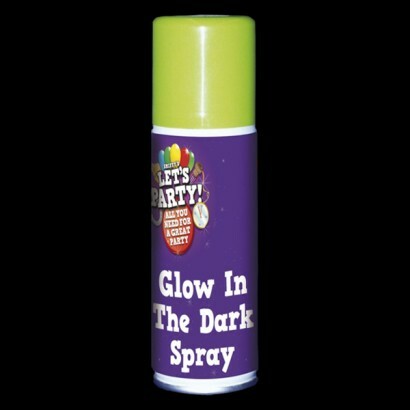 The Glow in the Dark Party Spray is temporary and can be washed off most surfaces, its advisable not to spray it on anything too precious though just in case. To get the best out of your glow party spray shake the can from side to side and charge under strong lights to produce excellent results.